On December 10, the Daily Camera published an interview wherein the founder of Moms Demand Action for Gun Sense in America said her group is not anti-gun but they do oppose law-abiding citizens being able to carry guns for self-defense nationally. 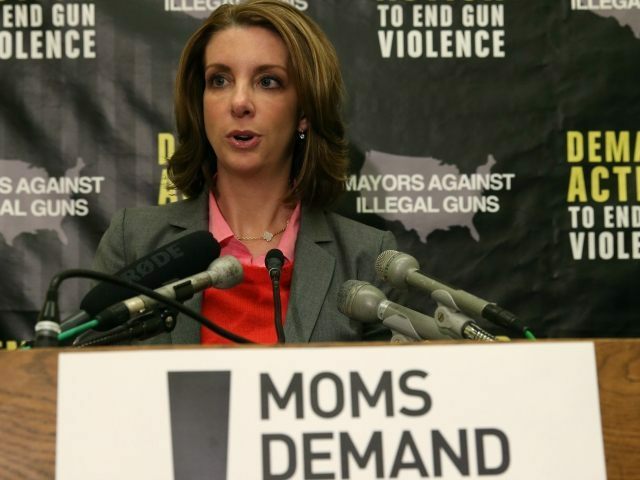 Shannon Watts was expressing her group’s opposition to the national reciprocity for concealed carry legislation that Representative Richard Hudson (R-NC) plans to introduce once Donald Trump is inaugurated. That legislation will make the concealed carry license of any state valid in every state, thereby opening the door for a permit holder to have his or her gun with them for self-defense in more places. According to the Daily Camera, Watts said her group supports “common sense” gun control and opposes national reciprocity. She made clear that they oppose the reciprocity push because some states have strict gun control which would be rendered moot by a law that affords national recognition to permits that allow you to carry a gun for self-defense. She said: “Some states are incredibly strict. There’s never been a federal agreement on what that standard should be and the NRA wants it to be the lowest common denominator.” Watts’ statement could lead readers to believe concealed carry permit holders do not undergo background checks for their permits, but they do. Permit holders have been vetted and they are among the most law-abiding of all citizens in America. Nevertheless, Watts says national reciprocity will allow someone to “buy a gun in a lenient state and then take it into Times Square, where New York has some of the tightest laws.” Her intimation is that national reciprocity would allow law-abiding citizens to buy a gun via a private sale and carry it into NYC, the way Governor Andrew Cuomo (D) claims criminals are doing every day. The problem with this contention is that law-abiding citizens would not be bringing guns into NYC to sell on the black market. Rather, they would be carrying their handgun to NYC in order to protect themselves from the criminals who have armed up via guns they acquired on the black market. Watts’ also spoke against allowing teachers and students to be armed for self-defense via campus carry and made clear that her group opposes letting childcare workers have a gun at the ready in a day care, in case trouble strikes. AWR Hawkins is the Second Amendment columnist for Breitbart News and host of “Bullets with AWR Hawkins,” a Breitbart News podcast. He is also the political analyst for Armed American Radio. Follow him on Twitter: @AWRHawkins. Reach him directly at awrhawkins@breitbart.com.